This packaging includes : 1 N1 & S1 Tablet/Buttonbox Upgrade kit Black or 1 N1 & S1 Ta.. This packaging includes : 1 RSEAT RS1 Tablet and Buttonbox kit Black or 1 RSEAT RS1 Tablet and.. This packaging includes : 1 RSEAT RS1 Black Seat / Black Frame 1 RS1 Buttkicker Upgrade Kit ..
RSeat synthetic Eco leather for RSeat RS1, N1 or S1 Replace your leather on your RSeat seat&..
N1 & S1 KEYBOARD AND MOUSE TRAY UPGRADE KIT NEW! User is able to place the keyboard and ..
N1 & S1 TABLET AND BUTTONBOX UPGRADE KIT Comes in Black matte powder coat paint. Made ..
N1 & S1 TABLET AND BUTTONBOX UPGRADE KIT Comes in Silver matte powder coat paint. Made..
N1 & S1 TABLET AND BUTTONBOX UPGRADE KIT Comes in White matte powder coat paint. 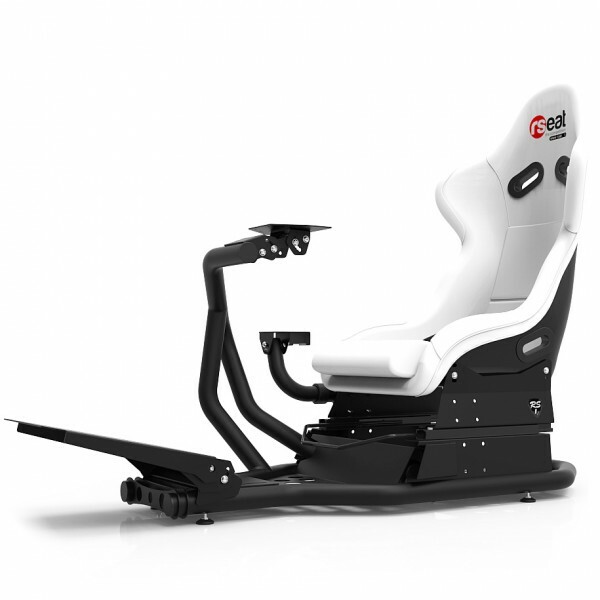 Made ..
BUTTKICKER UPGRADE KIT Direct fitment on all N1 chassis Easy Installation Same Black Mat..
OVERVIEW ADVANCED MOTION COCKPIT NEW! Pedals with sliders for easy adjustment D-BOX softw..
SHIFTER/HANDBRAKE UPGRADE KIT NEW! Handbrake Support for the shifter mount. You c.. SPEAKERS MOUNT UPGRADE KIT Made of laser cut carbon steel. 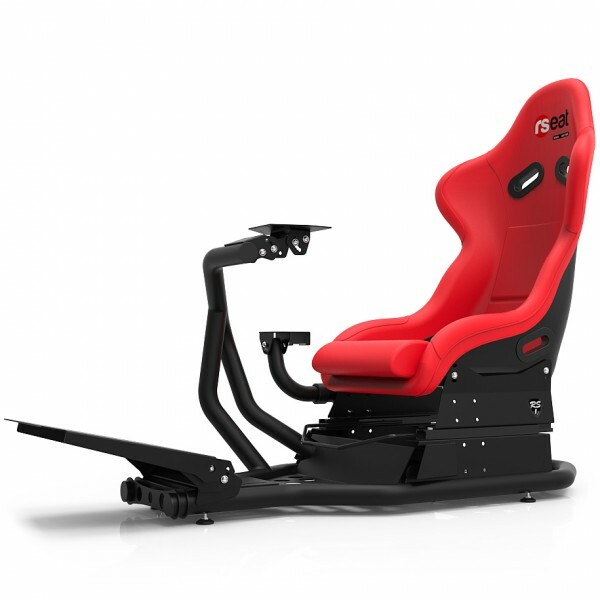 Direct fitment on all N1 chassi..
RS1 ASSETTO CORSA SE includes : Shifter mounting plate for Fanatec ClubSport Shifter&nb..
RS1 is a new generation simulator build in modular desing. You will be able to upgrade and build y..
Buttkicker Support for RSeat RS1 Made of Laser cut carbon steel and round tubes. 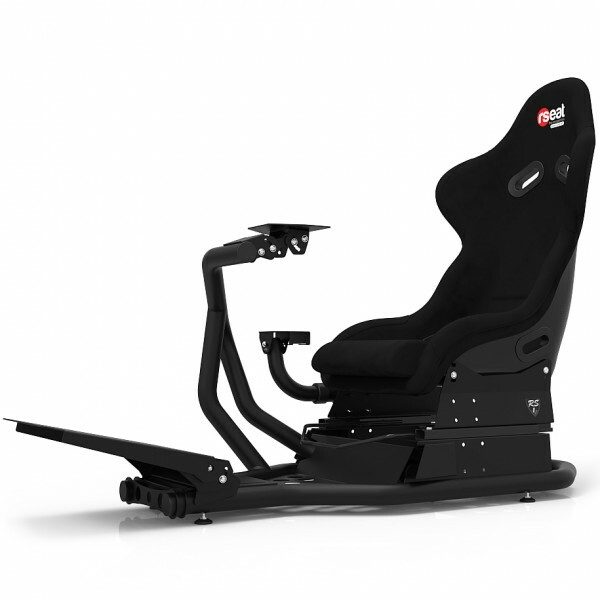 Comes in ..
Shifter/Joystick Upgrade Kit Support Fanatec Clubsport Shifter, Thrustmaster HOTAS Warthog for RSe..
S1 Flight Mount Upgrade Kit for Thrustmaster HOTAS Warthog for the NEW RSeat S1 NEW! FLIGHT ..
RSeat Seat Only for RS1, S1 or N1 Replace your current RSeat seat with our Seat Only. It comes&nb..
RS Formula V2 Keyboard and Mouse Tray Black Made of laser cut carbon steel and round tubes C..
RS STAND T3L support screens up to 3x 32″. It’s design allow the user to place the monitors right in.. Keyboard and Mouse Tray Black for RSeat RS1 Made of Laser cut carbon steel and round tubes. .. Pro Pedals Upgrade Kit Black for RSeat RS1 Made of laser cut carbon steel. Designed for ul.. 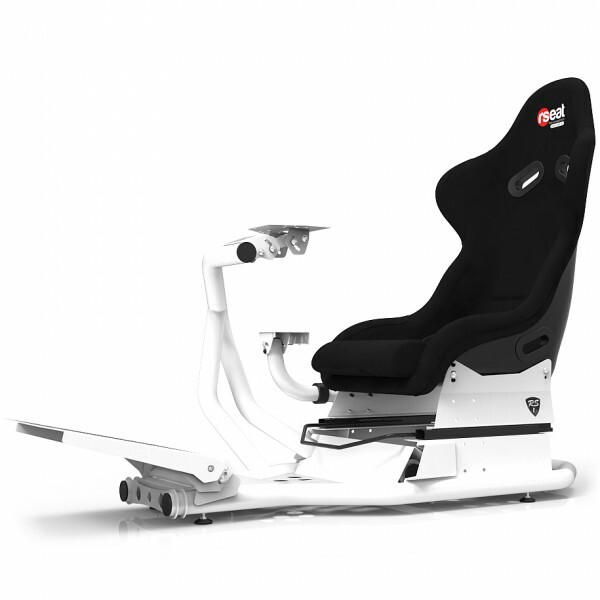 Pro Pedals Upgrade Kit White for RSeat RS1 Made of laser cut carbon steel. Designed for ul..
Specification D-BOX software is Windows PC compatible only. Full Electrical Adjustment o..
RS Formula V2 Buttkicker Upgrade Kit Black Made of Laser cut carbon steel and round tube. ..
RS Formula V2 Customizable, choose your colors ! Note: This product can not be canc..
RS STAND T3XL support screens up to 3 x 47″. 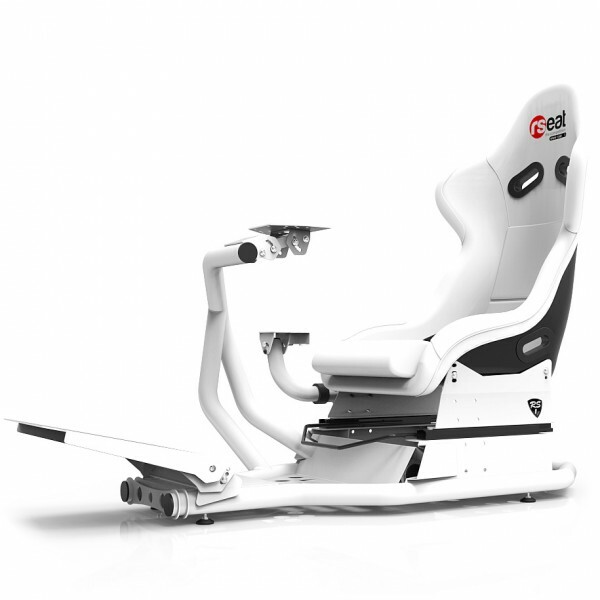 It’s design allow the user to place the monitors right ..
OVERVIEW ADVANCED COCKPIT FRAME NEW! 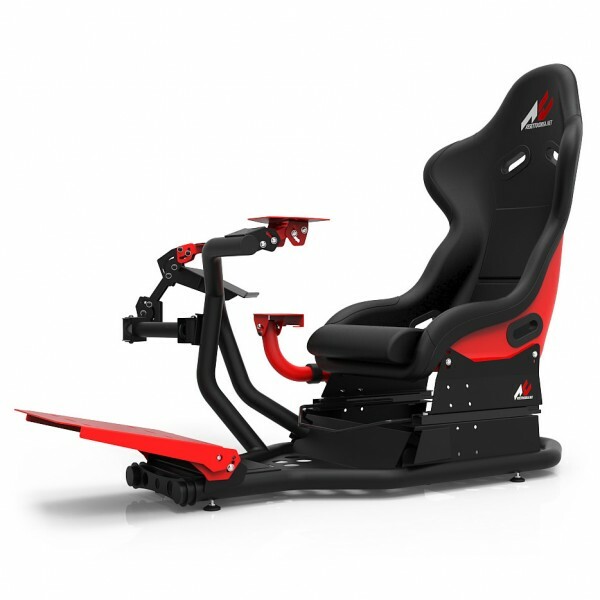 Pedals with sliders for easy adjustment You can..
RS Formula V2 shifter, Tablet and Buttonbox upgrade kit Made of laser cut carbon steel and cnc..
RS Formula V2 Speakers Mount Kit Black Made of Laser cut carbon steel. Direct fitment on R.. Speakers Mount Kit Black for RSeat RS1 Made of Laser cut carbon steel and round tubes. Com..
Support Haut-Parleurs Blanc pour RSeat RS1 Made of Laser cut carbon steel and round tubes. ..
RSEAT Static Keyboard and Mouse Tray White Made of laser cut carbon steel and round tubes. F..